Gluten-free flour…it always seems like it’s missing…something, doesn’t it? What I mean is, every time I make a recipe with a gluten-free flour, the thing I make turns out a little off. It’s either too runny or too dry, too quick to cook or falling flat. I had all-but-given-up on flour for the GF, until I tried a recipe found by my sister-in-law. Before we embark on the magical journey that is GF flour–you need to know that the cheapest way of going about making this is to be able to buy your flours in bulk. I enjoy getting mine from Bob’s Red Mill store in Milwaukie, OR. The other note is–do not look at the below picture and be like, “oh that’s what it’s supposed to look like!” and not mix the ingredients. It’s meant to be well blended; I simply worked to make it like one of those silly sand-in-a-jar-thingys. (1 batch of GF flour pictured). The change I made to this recipe is changing the parts to cups because for me it translates more easily this way. Once all the ingredients are integrated, blend with a whisk or electric mixture. Ta-da! It’s that simple! 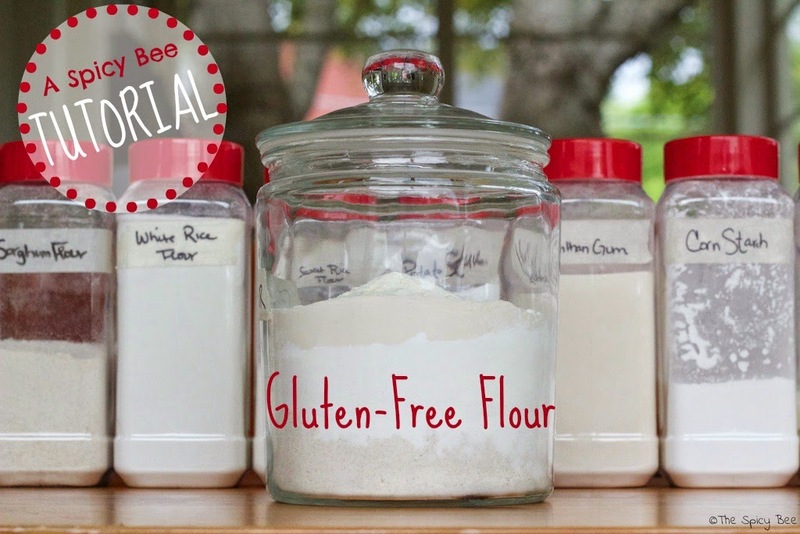 You now have a cup-for-cup gluten-free flour to substitute for most any recipe! I’ve tried this flour in about a dozen different recipes with very successful results. Will it make it completely untraceable? No. Will it improve how you feel about baking GF? YES. Ten times YES. While Only Sometimes Clever suggests freezing, I find that so long as I keep it in a cool dark place, the flour lasts 1-2 months. If you make a large batch, I would agree it’s best to keep well-labled and frozen until needed. Questions? Hit me! I’ll work to try and help you troubleshoot your GF flour making issues.